Trying to shut off the Main water to your house and the Gave Valve doesn’t work? It’s common and it’s annoying when you’re in a bind. 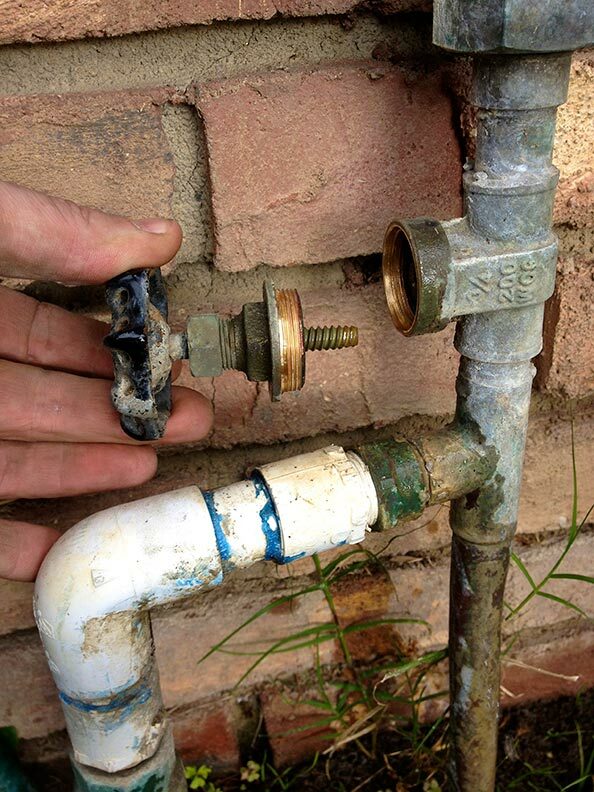 Because of their low price, Gate Valves are often installed in new homes and during repairs by handymen or plumbers that are trying to save a few dollars on material. The problem is, due to the nature of their design, they often fail. In the above photo, you can see the broken screw ‘stem’ that raises and lowers the ‘gate’. Gate Valves can break in the ‘open’ position, break in the ‘shut’ / ‘closed’ position, or even half way in between. In the above photo you can see the Gate actually lodged in the body of the valve. 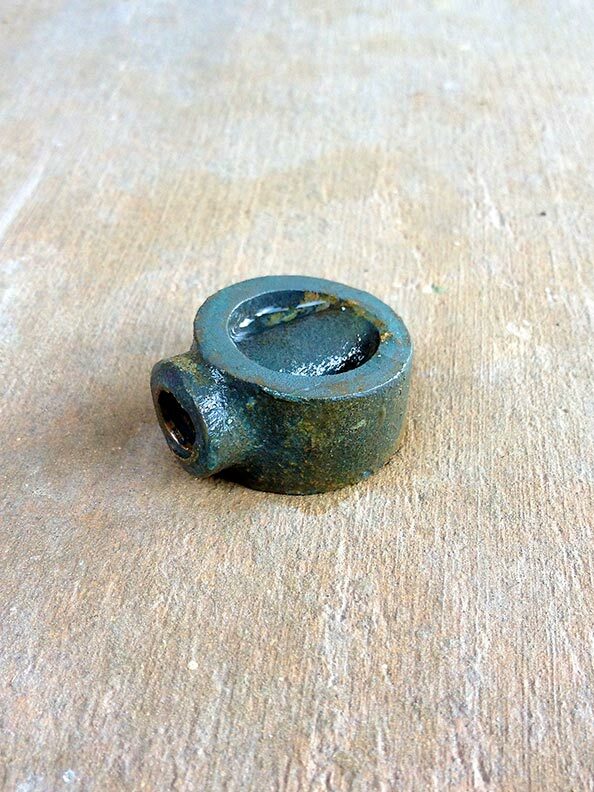 Luckily we were able to disassemble the ‘bonnet’ (the part of the valve that holds the screw / stem assembly and handle) and remove the lodged Gate. At this house, the fallen / broken Gate had stopped all water supply to the home. Above shows what the removed gate looks like. We were lucky to get this one out! Sometimes you’re stuck and have no option but to immediately change out the valve. 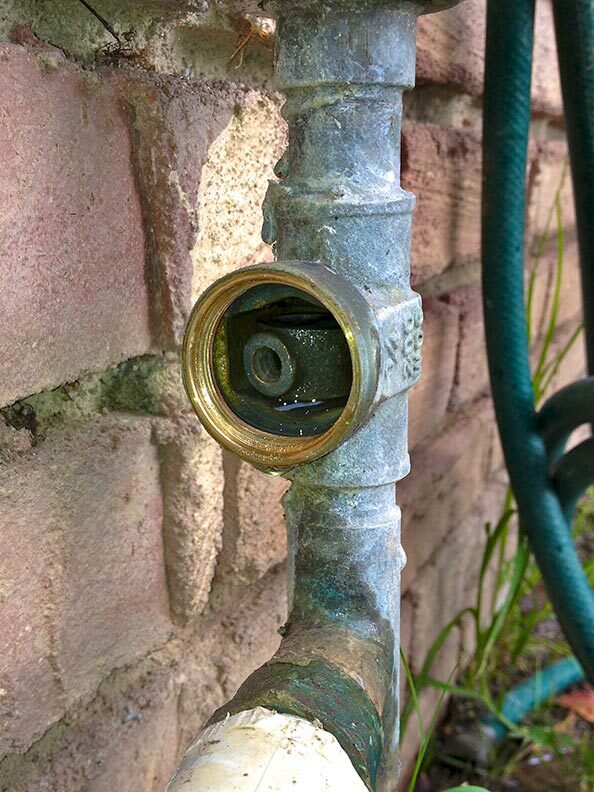 Gate Valves do have their place, but make sure you always replace residential home water valves with a high quality Ball Valve. To temporarily get water to this house, we were able to assemble the valve (without the Gate of course) and turn the water back on. This is a very temporary solution. In case of a sudden break or natural disaster, you will need to be able to immediately turn the water off and on to your house! 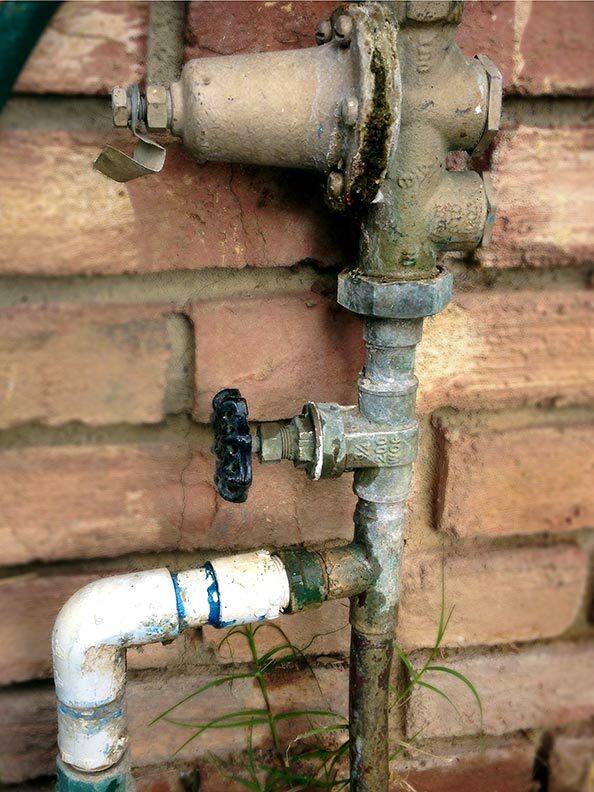 If you have an old or poorly configured Water Service Array, contact us to reconfigure your water and irrigation shut off valves, pressure regulator and hose bib / spigot to a professional standard. You deserve GREAT Wrench Re-Pipe service!